Each visit as well as request for files located on the homepage will be recorded for internal system related and statistical purposes. Information stored will include: name of requested file, date and time of the request, amount of data transferred, as well as notifications to successful requests, the web browser used, and domain. In addition the IP address of the requesting computer will also be stored. Moreover, data may be stored on the computer of the site user. This data, called “cookies”, allow for more efficient user access. However, the user has the possibility of deactivating this function within the respective browser, although this may lead to certain restrictions to the website’s usability. Additional personal data will only be collected if you voluntarily enter this information, for example, in connection with a request or registration. Any personal data provided to us will only be used for answering inquiries, processing of completed contracts and technical administration. 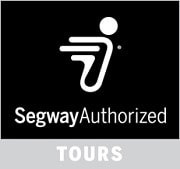 Personal data will only be submitted or transmitted to third parties for purposes related to the tour’s execution – notably submitting personal data to respective tour guides – billing purposes or with prior approval. You reserve the right to retract any given approval with future effect. In cases of litigation or conflict between STD GmbH and its customers, or customers and STD GmbH, regarding the rendering of services by STD GmbH, STD GmbH will provide any necessary information as well as assistance that will allow for orderly proceedings. Removal of saved personal data occurs, should you revoke your approval for its storage, if knowledge of such data is no longer required to fulfill the purpose of such data storage, or if its storage is deemed legally impermissible for other legal reasons. We would be please to provide information to stored data related to you by written request. We will do out utmost to ensure that any data, retrieved by any technical and organizational capabilities, will be stored so as to prevent its access by third parties. Email correspondence does not guarantee complete data security, and confidential information is recommended to be sent by mail. The provider emphasizes that data transmission on the Internet (e.g. email correspondence) is vulnerable to security breaches and cannot guarantee complete protection against its access by third parties. This website uses Google Analytics, a web analysis service of Google Inc. (“Google) Google Analytics makes uses of so called “cookies”, text files that are saved on your computer and allows for analysis of site usage. Information generated by the cookie regarding your use of this website (including IP address) will be submitted to and stored on a server in the USA. Google will use this information to evaluate your use of the website, generate reports regarding website activity for the website operator as well as to render other services related to website and Internet usage. Google will also only provide this information to third parties as prescribed by law or should these third parties process this data on behalf of Google. Under no circumstances will Google associate your IP address with other data from Google. You are able to prevent the installation of cookies by respective browser function, although we emphasize that not all website functions can be utilized in their entirety. With the use of the website, you agree to the processing of data related to you by Google in the aforementioned manner as well as for the aforementioned purposes. Our website contains integrated plugins from the social network Facebook, 1601 South California Avenue, Palo Alto, CA 94304, USA. The Facebook plugin can be recognized by either the Facebook logo or the “Like Button” on our website. A general overview of Facebook plugins can be found here: http://developers.facebook.com/docs/plugins/ Visits to our website create a direct connection through the plugin between your browser and the Facebook server, through which Facebook receives information regarding your visit on your IP address to our website. Should you click the Facebook “Like” button while logged into Facebook, you are able to link the content of our Website to your Facebook profile, through which Facebook can attribute visits to our site to your User account. We emphasize that, as the website provider, we receive no notification of data transferred or its usage by Facebook. Further information can be found in the Data Privacy Protection Statement of Facebook at http://de-de.facebook.com/policy.php Should you not wish your visit of our website to be attributed to your Facebook account, please log out of your Facebook user account.